Nowadays, I seldom bake from scratch after I discovered some good instant mixes for cakes, cupcakes brownies, and cookies. I prefer using instant mixes if we want desserts at home because it is so easy to prepare and less dishes to wash. But when it comes to banana cupcake, I always bake from scratch because we always have bananas at home. It is the best way to use overripe bananas. Let us save banana to minimize the waste. Last Monday, I baked Banana Chocolate Cupcake. It is an all time favorite of my family so one batch of the recipe is not enough. 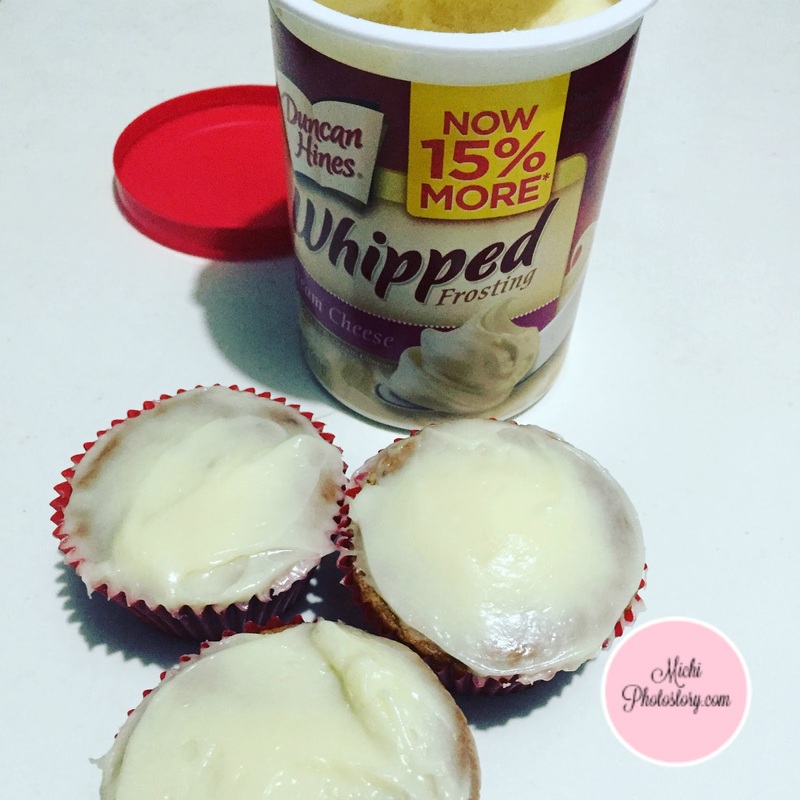 I also have Duncan Hines Whipped Cream Cheese Frosting that I bought in S&R P139.95. The taste is almost the same with the cream cheese frosting from scratch. It is rich, creamy and easy to spread frosting. It is also gluten free. I don’t always put frosting on my homemade cupcake (merienda) because it is an added sugar and expense. But the Duncan Hines Frosting is not that expensive so if you like cream cheese frosting, pwede na ito. My son likes this frosting and he wanted me to bake again so we can use it again. Mukhang mura lang at masarap. I wish I could try it out too. Maybe next time, who knows. hehe. Cream cheese frosting sounds inviting too! I've yet to try Duncan Hines frostings! Will buy next time when I see one. I agree, this is a good buy. I'll check it pagpunta kong S&R. Where’s Good to Eat in Big Sur?